The BBAA recently received a copy of pocket reference guide entitled "THE NIGHT SKY" AN INTRODUCTION TO PROMINENT STARS AND CONSTELLATIONS. It is on hard stock and laminated to protect it from dew and consists of twelve folded pages of information useable for the beginner and novice alike. 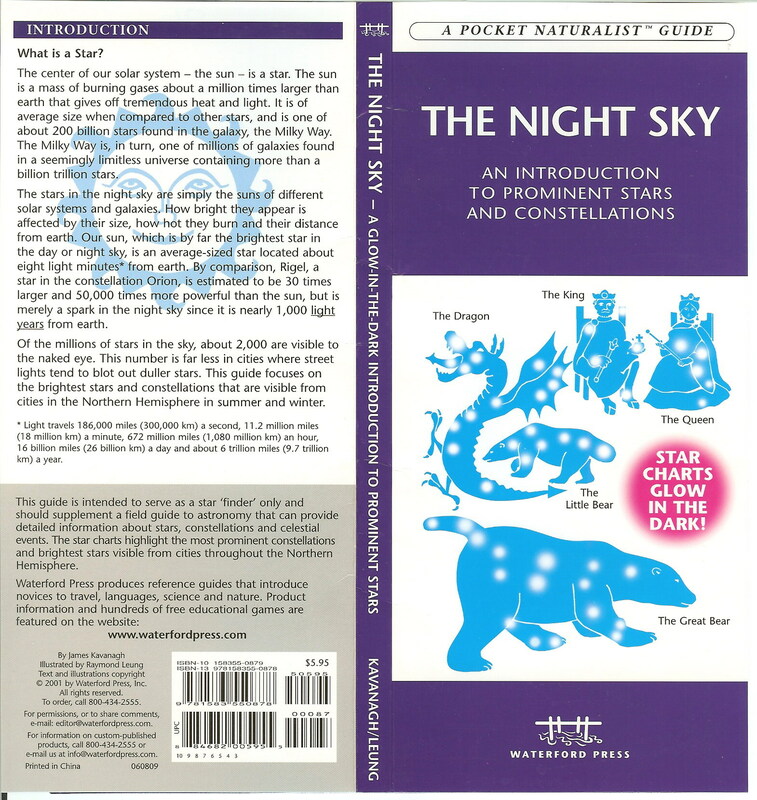 After the cover are two pages describing sixteen summer constellations and a diagram showing a locator key on how to find the constellations using Ursa Major as the key. 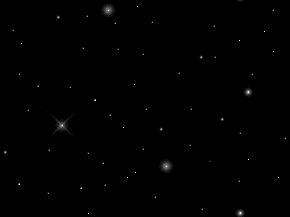 The next two pages depict the same for the winter sky, using Orion as the key and depicting eleven winter constellations. On the back of these pages are summer and winter sky charts depicting the constellations, they appear to glow in the dark as well. The back page lists some basic astronomy information that might be helpful to new astronomers as well as seasoned old salts. The Night Sky Guides are available from the BBAA for a recommended donation of $4.00 helps us to recover the cost of the guide and the shipping and handling expenses. The guides normally retail for $5.95 so a pretty good savings may be enjoyed and since it is a donation to our 501(c) organization it is tax deductible! The point of contact is Chuck Jagow. chuck @ jagowds . com (remove the appropriate SPAM blocking spaces). 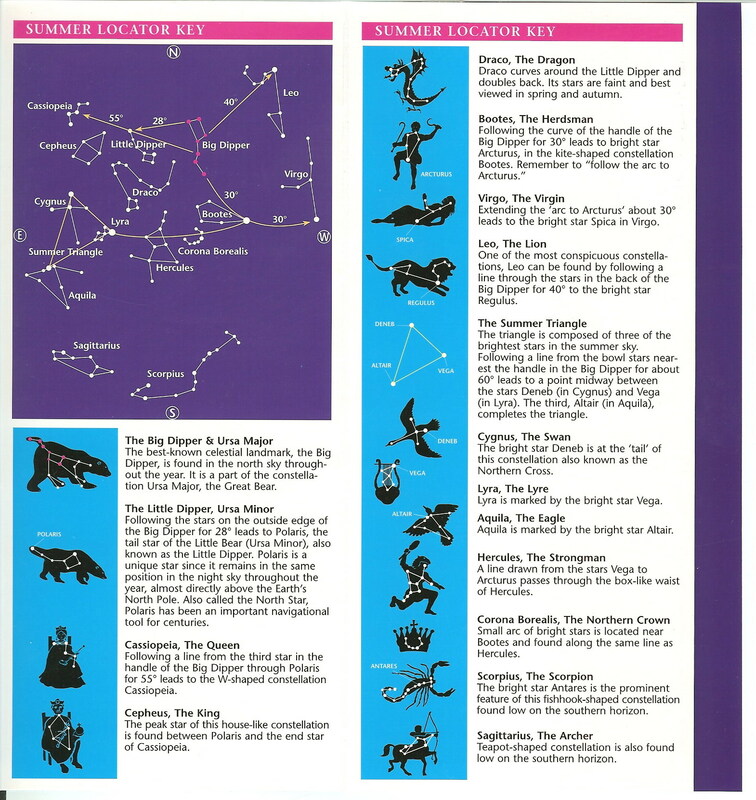 Below are three scans representing three pages of the Night Sky Guide. Make sure and scroll over and check out the entire page! Night Sky Guide front and rear pages. This is the summer constellation page. 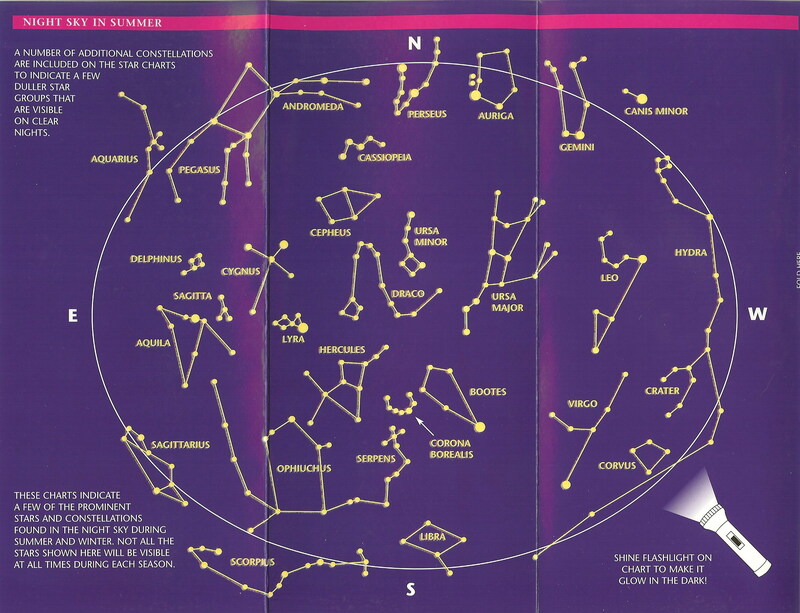 This is the summer constellation chart.